Holiday accommodation in the Forest of Bowland A.O.N.B. 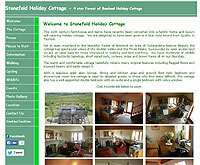 self catering cottages, apartments and bed and breakfast B and B. Holiday accommodation in the Forest of Bowland A.O.N.B. 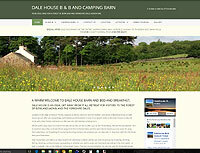 Self catering holiday cottages, apartments and bed and breakfast B & B accommodation in the Forest of Bowland Lancashire. Holiday Accommodation your starting point for a Forest of Bowland Holiday. 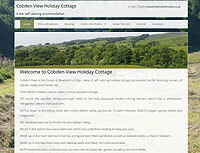 Listing holiday cottages, apartments and bed and breakfast accommodation. Why not have a Holiday Break in North Lancashires hidden gem. The Forest of Bowland AONB is a nationally protected landscape and is internationally important for its heather moorland, blanket bog and rare birds. The AONB is managed by a partnership of landowners, farmers, voluntary organisations, wildlife groups, recreation groups, local councils and government agencies, helped by tourism businesses who work to protect, conserve and enhance the natural and cultural heritage of this special area. 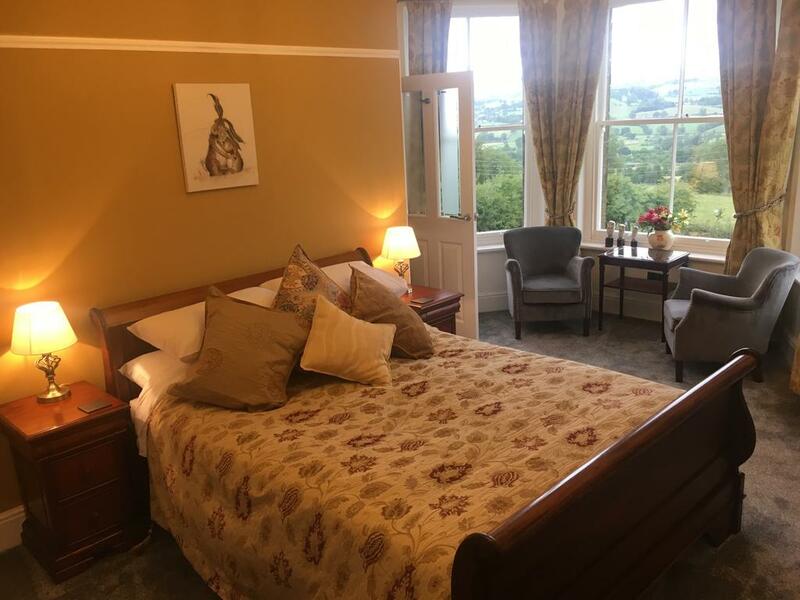 Greendale View Bed and Breakfast with modern en-suite accommodation, two Superior Double rooms and a Twin room, beautiful views and a proper Lancashire welcome. 4 Star Visit Britain Self Catering Holiday Cottage in the picturesque village of Worston, near Clitheroe, Lancashire Delightful cottage in the grounds of the owners home, extended in 2017, its own off road parking with spectacular views of Pendle Hill from the new sunroom. Ideal for a walking or cycling holiday or short break any time of the year. Dale house is an ideal get away from it all retreat for visitors to the Forest of Bowland (AONB) and the Yorkshire dales. Located on the edge of Gisburn Forest, adjacent to Stocks reservoir and the heather moorlands of Bowland Knots, at Dale house we can offer you exceedingly comfortable accommodation in one of our guest rooms in the main house or why not come with a few friends and book our 400 year old, self catering camping barn. Adjoining our own property, this recently renovated barn/shippon has been tastefully converted into a warm and comfortable self-catering cottage with exposed beams and flagged floors. The cottage has been given a well-deserved 4 Star Gold award and a level 2 Mobility award from ‘Quality in Tourism’. Broadgate Farm Bed and Breakfast and Caravan Site in the Forest of Bowland. Whether you're looking for an established reputable CL caravan site with water and electric hook up, or the home comforts of traditional bed and breakfast lodgings. Height Top Farm Holiday Cottages are set in beautiful open countryside close to Pendle Hill in Lancashire and in the Forest of Bowland AONB. 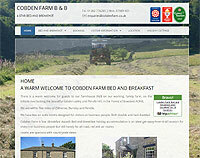 Cobden Farm 4 Star Bed and Breakfast holiday accommodation. We welcome guests to our farmhouse B&B on our working, family farm, on the hillside overlooking the beautiful Sabden valley and Pendle Hill, in the Ribble Valley. We are within five miles of Clitheroe and Pendle. We have two en suite rooms designed for visitors or business people. Both double and twin-bedded rooms are spacious with countryside views. Cobden View in the Forest of Bowland is 4 star, sleep 4, self catering holiday cottage surrounded by the stunning scenery of Sabden Valley and Pendle Hill. Look out of most of Cobden View's windows to enjoy the peace and tranquillity of the glorious hills and countryside. Sheep and lambs graze the fields around the cottage. A variety of hens peck away in their pen close by. The comfortably furnished, spacious cottage is in its own grounds at Cobden Farm, a hillside working farm. The private rear garden faces south and has part- decking with chairs and a table for al fresco dining. From here, enjoy the amazing sunsets that bathe the Valley. Lower Gill Self catering Holiday cottages. Three Star self catering holiday cottages on the edge of the Yorkshire Dales National Park in the Forest of Bowland A.O.N.B. (Area of Outststanding Natural Beauty) Perfect for a long or short break and ideal for the Three Peaks. 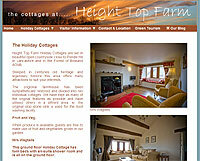 Malkin Tower Farm Cottages self catering Holiday Cottage Accommodation in Pendle in East Lancashire. Converted from traditional stone farm buildings, our three cottages offer holiday accommodation for walking, cycling, sightseeing or a fishing holiday. 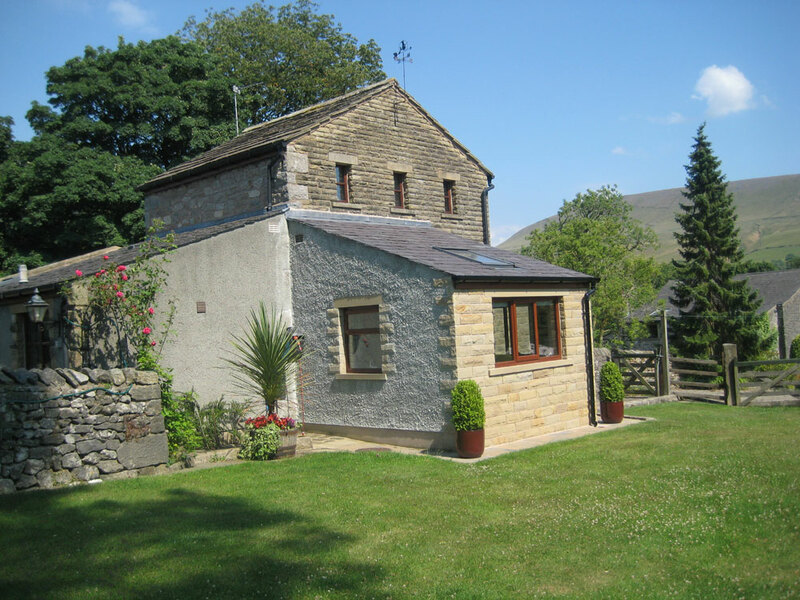 Self catering holiday apartments on Pendle Hill in the Ribble Valley in Lancashire. If you want a complete escape from the stress and strain of modern life, a stay at Higher Gills Farm could be just what you need. Foxhill Barn bed and breakfast is located just outside Gisburn in East Lancashire, near to the Yorkshire border, offering our guests the opportunity to relax and unwind in peaceful and idyllic surroundings. Our family has lived on this beautiful 17th century farm for over 100 years. Wood End Farm B and B is situated in Dunsop Bridge at the heart of the 300 sq.mile Forest of Bowland AONB, the farm is part of the Queen's Duchy of Lancaster Estate. When you visit the Forest of Bowland area, you'll understand why the Queen regards it as one of her favorite places in the country. Little Bowland Self Catering Holiday Cottage Accommodation Sleeps 8 + Detached converted Barn situated in the Forest of Bowland near Chipping in Lancashire, perfect for a walking, cycling or bird watching holiday. Throstle Hall Country Cottage Self Catering Holiday Cottage Accommodation. Situated on the flank of Pendle Hill in the Ribble Valley. With views of the Forest of Bowland and the Yorkshire Dales. The holiday accommodation sleeps up to 8 in four bedrooms. Ribble Valley Bed and Breakfast accommodation provided in a recently renovated farmhouse on their working sheep farm. In the beautiful Ribble Valley and The Forest of Bowland A.O.N.B. The perfect base for visiting/days out to the Yorkshire Dales, Lake District and coast. Ideal for a holiday or short break with ample opportunities for walking, cycling, and sightseeing. Very comfortably furnished the self catering holiday cottages are compact, cosy. They have been built with character, open beams and stone fireplace in the lounge, and central heating to provide excellent holiday accommodation nestling by Pendle Hill in the beautiful Ribble Valley in Lancashire. Lake View Holiday Apartment 4 bed accommodation comprises 2 twin bedrooms one with twin beds and one with bunk beds. There is a spacious lounge dining room with TV and free wifi. The apartment has fantastic views across the reservoir and outside a raised decking platform again with stunning views across the water available for long and short breaks contact us for details or try one of our three day breaks. Avilable as Self Catering or B and B accommodation. Stocks Reservoir is now the premier water in the North of England with the largest fly fishery in the North West of England. Situated the head of the Hodder Valley. Stocked with triploid Rainbow, Brown and Blue trout. Ribble Valley Lancashire Holiday accommodation and holiday information. Pendle Lancashire Holiday accommodation and holiday information.